The drone that Israel said it shot down this weekend appeared to have been developed by Iran from technology obtained when it captured a U.S. stealth aircraft in 2011, according to aviation experts and Israeli officials, The Washington Post reports. Lieutenant Colonel Jonathan Conricus, a spokesman for Israel’s military, and Yuval Steinitz, a minister in Israel’s security cabinet, said the craft was a copy of a U.S. RQ-170 Sentinel spy drone, which Iran claims to have reverse-engineered. 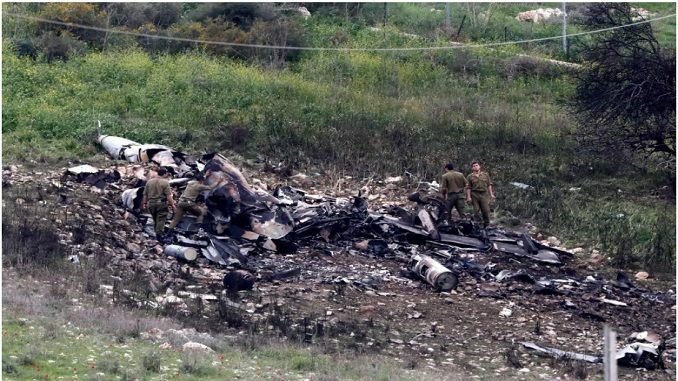 Experts who examined footage of the drone being shot down and images of its wreckage released by the Israeli military agreed that the shape strongly resembled that of Iran’s Saeqeh, or “Thunderbolt,” drone, which was based on a CIA-operated RQ-170 captured by Iran. Conricus said that he could not specifically confirm that the drone was a Saeqeh and that the debris is still being examined. Iran has developed several other models based on the RQ-170. “It was an Iranian copy of a U.S. drone that they got hold of a few years ago and they duplicated,” Steinitz told Israeli radio. Israel said the drone, operated by Iran from a base inside Syria, traveled three or four miles into its territory Saturday morning before being shot down. Iran has described the Israeli claim as “ridiculous.” Secretary of Iran’s Supreme National Security Council rejected as a lie the claims made by the Israeli regime that it has launched airstrikes in Syria after intercepting what it said was an Iranian drone. 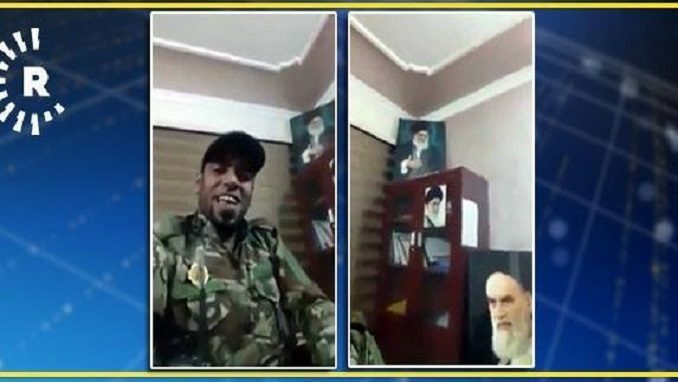 “The claim by the Zionists (that they have carried out sorties) to damage Iranian bases in Syria is a lie,” Ali Shamkhani told reporters in Tehran on Sunday, on the sidelines of rallies marking the victory anniversary of the Islamic Revolution. Iran has “advisory, not military presence” in Syria, the security official reiterated, denying the Israeli allegation that its warplanes have scrambled in reaction to an Iranian drone. Basically, one would not fly military jets to hit a drone, Shamkhani, himself a top general, added. “The Syrian nation proved this time that it will respond to any act of aggression, as the era of hit and run is over,” he underlined. A spokesman for U.S. Central Command, which oversees U.S. military operations in the Middle East, declined to comment. The incident sparked a flurry of cross-border confrontations that ended with an Israeli jet being shot down for the first time since 1982 and Israel’s most extensive bombing of Syria in that same period. The U.S. RQ-170 drone captured by Iran in 2011 was part of a fleet of secret aircraft used by the CIA in an espionage campaign targeting Iran’s nuclear facilities, according to U.S. officials who spoke at the time. Iran claimed to have downed it with an “electronic ambush.” The United States later requested that Iran return the drone, but Iran said the United States should instead apologize for invading its airspace. Iran first tested its own version of the RQ-170 in 2014, and its elite Revolutionary Guard Corps unveiled the Saeqeh in 2016. Those unmanned aerial vehicles boosted the ambitious drone program the country has maintained since the 1980s when it first deployed the craft during the Iran-Iraq War. 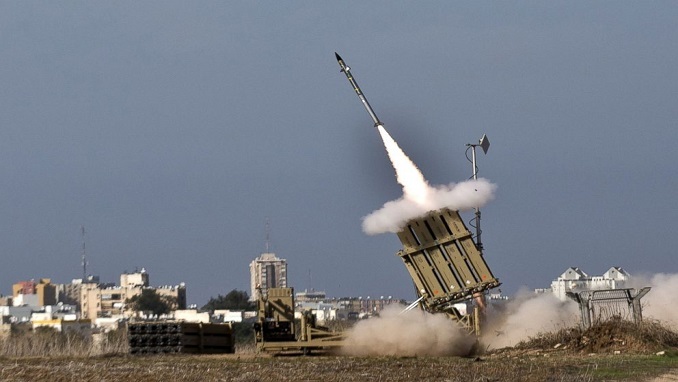 The 12-member Israeli security cabinet met Sunday to discuss the volatile situation in the North, with some of the ministers already having advocated taking military action – not only against Iranian proxies for attacks on Israel but against Iran itself. Education Minister Naftali Bennett, who is a member of the security cabinet, gave a speech at the annual conference of the Institute for National Security Studies (INSS) in Tel Aviv last week in which he referred to Iran as an “octopus” and said it was time for Israel to stop dealing with the tentacles of the octopus – Hamas and Hezbollah – but instead with the octopus itself. “Look at this absurdity. 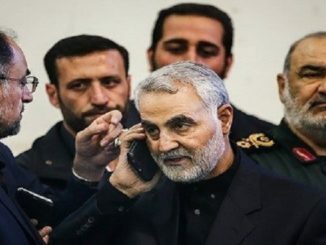 While the Iranian ayatollahs send [Quds Force commander] Qassem Suleimani to build militia after militia; while they feed their messengers [proxies] with billions of dollars, train them and hurt our children and citizens; while they do this, they sit at home, safe and secure,” he said. Bennett said that “as long as the octopus is immune, it will continue.” However, “the Iranian octopus has its weaknesses” and is “highly sensitive to its casualties,” he added. 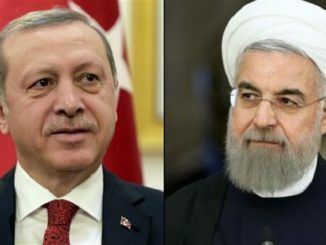 While Iranian President Hassan Rouhani sends others to fight in Syria, he said, “he was quick to withdraw troops once Iranian casualties and coffins started returning home. Let me say this: Rouhani will fight Israel until the last drop of Lebanese and Gazan blood.” Bennett said Israel’s strategy must be to “mark, first and foremost” the Quds Forces and Iran as “a target for continuous, multi-front attacks. “I don’t necessarily mean armed conflict. The war must be conducted through diplomacy, intelligence, preemptive efforts, technological means, economic sanctions and if needed, other means,” he said. Israel’s Minister of Intelligence Israel Katz said on Sunday that by striking key Iranian sites in Syria, Israel sent a clear message to Iran that it would not tolerate an Iranian military foothold on its doorstep and would act decisively to counter any further provocations. The wave of airstrikes came after Israel intercepted an Iranian drone that had infiltrated its airspace, and an Israeli F-16 was downed upon its return from Syria on Saturday. It was Israel’s most serious engagement in neighboring Syria since fighting there began in 2011 — and the most devastating air assault on the country in decades. The military said it destroyed the drone’s Iranian launching site, along with four additional Iranian positions and eight Syrian sites, including the Syrian military’s main command and control bunker. 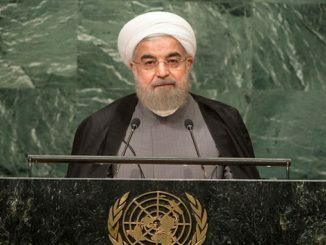 Israel has recently issued several stern warnings about the increased Iranian involvement along its borders with Syria and Lebanon, which it attributes to Iran’s growing confidence following Syrian President Bashar al-Assad’s successes in the Syrian civil war, thanks to supporting by main allies Russia and Iran. Israel fears Iran could use Syrian territory to stage attacks or create a land corridor from Iran to Lebanon that could allow it to transfer weapons more easily to the Lebanese Hezbollah — an Iranian-backed Shi’ite militant group sworn to Israel’s destruction.